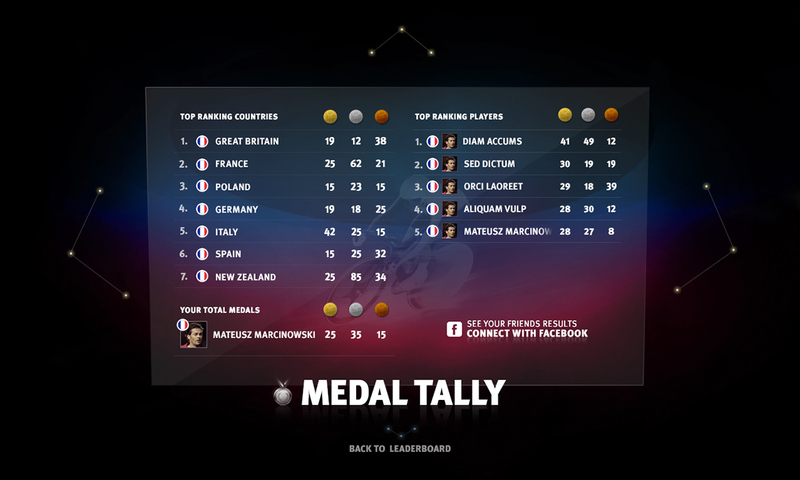 The EDF Light Games serves up a series of 7 Olympic sports events brought to life on desktop, touchscreen or in an iPad app. 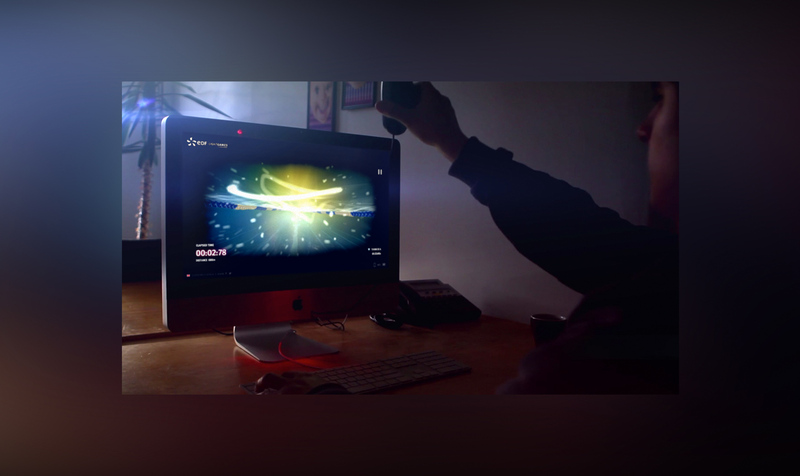 Working around the theme of light, game controls were reinvented with an innovative idea: control the game using light from a mouse or mobile phone that is tracked through a user’s webcam. 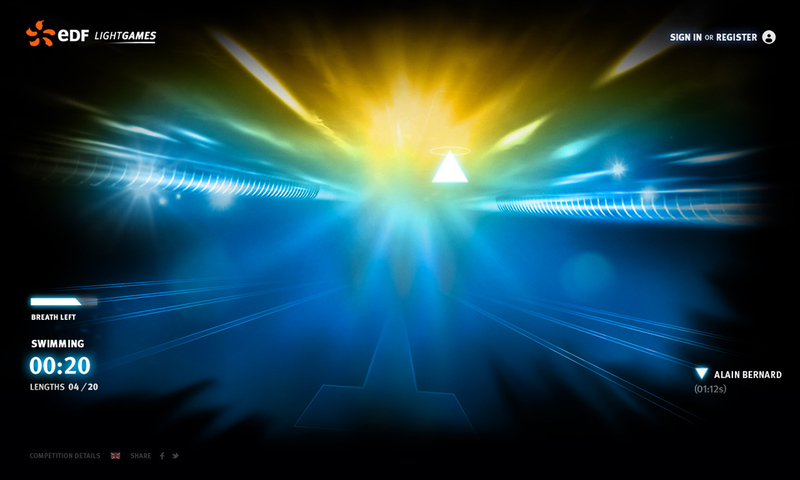 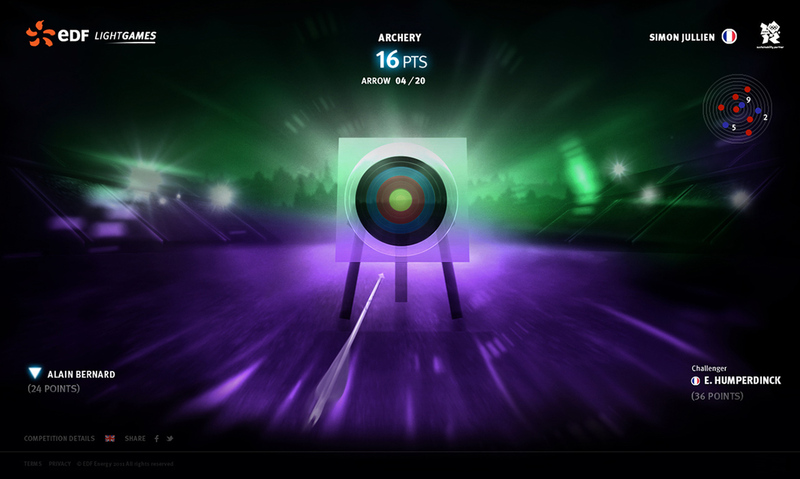 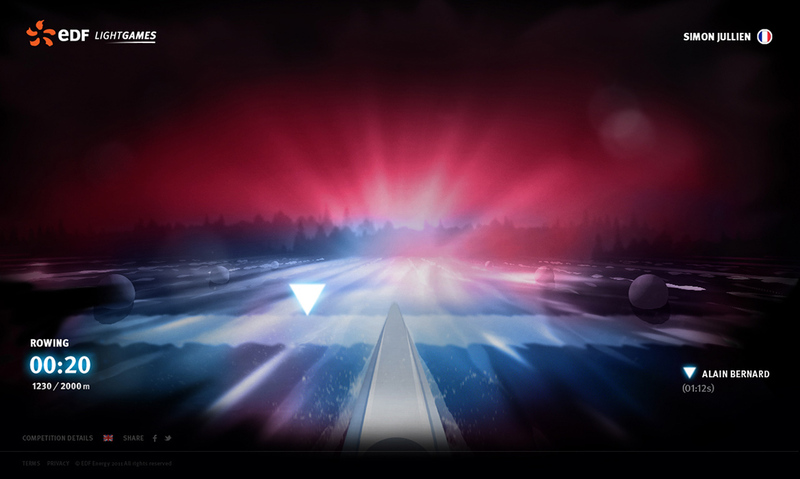 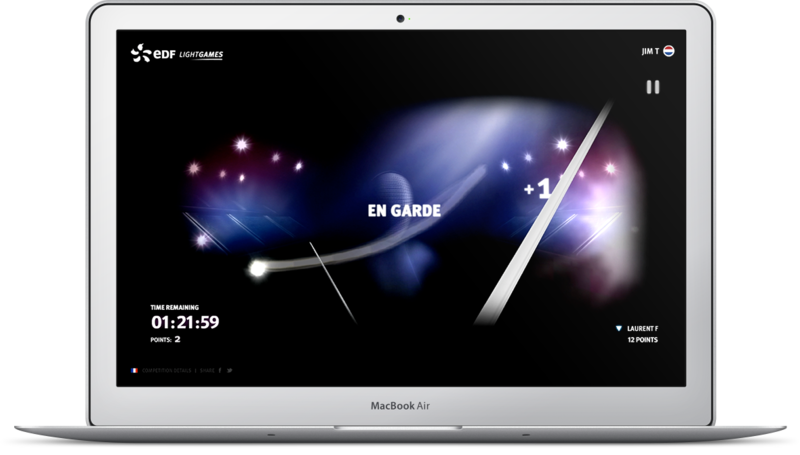 With immersive 3D visuals that emphasize movement and light, the end result is a unique gaming experience that enables players to compete in virtual Olympic events in French and English.